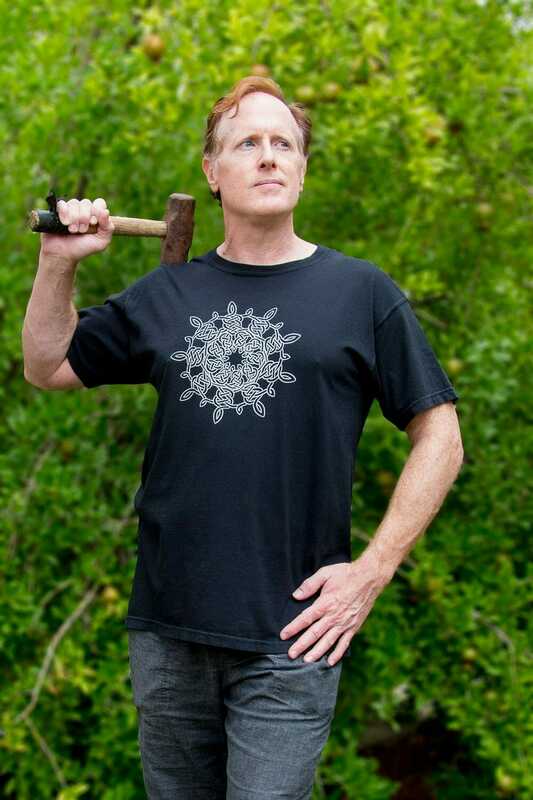 Andrew Crawford’s original 1992 Silver Snowflake Celtic knotwork design printed in metallic silver on a luxurious black heavyweight cotton T-shirt. If you want one in a size not available, please let us know and, we will notify you if we do another print run. 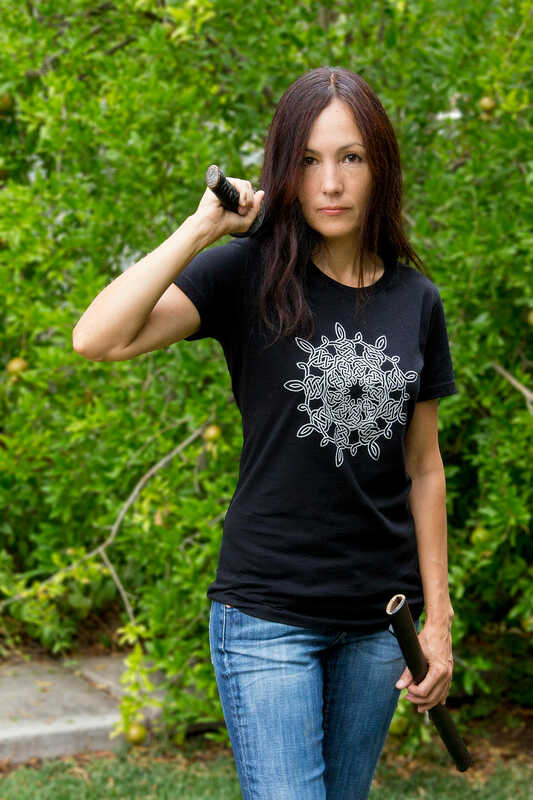 This design is also available on a fitted women’s shirt.